Cap Rate Calculator: What it is, why it matters, and the formula to find yours. Capitalization Rate – or “Cap Rate” for short – is one of those terms that needlessly intimidates new real estate investors. Don’t be daunted! It’s actually a very simple concept, and you can master it in under five minutes. Here’s what new investors need to know about cap rates, how to calculate them, and even a couple of handy calculators to run the numbers yourself (you can see an ultra-simplified version above, and a more advanced version of this calculator below). A cap rate is simply a ratio of a property's income over its cost or value. It’s one way of measuring the rate of return for an income-producing property such as a rental property, apartment building, office building, or other commercial structure. Another way to think about cap rates is annual yield, similar to the dividend yields for stocks. How Are Cap Rates Calculated? Again, it’s just a ratio of income over cost. But both components in the equation need some further explanation. Net operating income (NOI) is the total annual income a property produces after vacancy and expenses. In other words, gross rent minus expenses. To do this, we start by considering what the subject property could generate in a perfect world, if it was 100% occupied all the time. Then we would subtract the anticipated vacancy rate. For example, if a property could generate a maximum of $10,000 per year, but we expect it to have a vacancy rate of 10%, then the most it can actually generate each year is $9,000. The next step is to subtract the annual expenses. This includes all the anticipated things that will drain your bank account each year. One expense that’s NOT included when calculating the cap rate is financing costs, such as mortgage principal and interest payments. Cap rates do not include loans or leverage. They analyze the raw income over the raw cost of a property. A property's cap rate can be calculated based on either the current market value of a property or the cost you can acquired it for – and these two things aren't always the same number. A property may be worth $600,000, but if you know you can acquire it, cover all closing costs and pay for any immediate repairs for $500,000, then THAT becomes the more relevant number to use. any improvements needed to make the property functional. Suppose you're able to buy a small apartment building all-in for $500,000. Try running it through this calculator to see if you get the same thing! 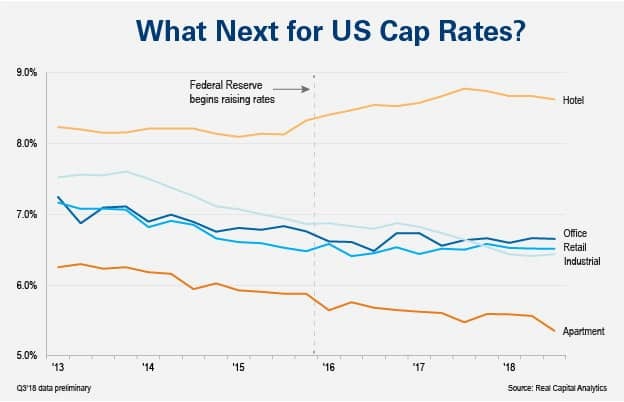 Why Do Cap Rates Matter? Cap rates are useful as a quick way to estimate returns on any particular property. Oftentimes, real estate investors and real estate brokers will quickly reference this particular number (rather than the cash on cash return, the return on investment, the internet rate or return or any other number of ratios). Why do they focus on the Cap Rate? Because this number is not affected by the financing terms of the property. Whether an investor buys the property for cash, whether they put 10% down, or whether they put 25% down – the Cap Rate will stay the same. Cap rates are also a great tool to help you compare two different properties using an objective measure. Imagine you have a choice between buying two identical properties, across the street from each other. If one offers a cap rate of 7%, and the other 9%, then all else being equal, it would make more sense to buy the property offering the higher cap rate. Of course, all else is never equal in the real world. One property may be occupied with less reliable tenants, most of whom will need to be replaced with better quality renters or the other property may need significant repairs soon, or may feature a more desirable location, or may come with more land. While a cap rate by itself never tells the whole story, you can think of this number as a quick way to compare property returns. Just remember that cap rates are the beginning of your due diligence, not the end. The simplicity of a cap rates proves both an advantage and a limitation. By removing interest and financing-related costs from the equation, investors can use cap rates to compare the “raw” income returns between two properties, but don't assume that cap rates tell the whole story. One piece of the puzzle that cap rates ignore is the difficulty that may arise in property management and rent collection. Two properties might have the exact same cap rate, yet one could be in an upscale neighborhood, populated by reliable residents with high credit scores, and the other could be in a slum, where late rents and defaults are the norm rather than the exception. Along with higher default rates, low-end rental properties also tend to suffer from greater wear and tear. Crime could prove a problem as well – another reality of some rental properties that cap rates fail to capture. Then there are the financing terms. Interest and closing costs do matter, as does the amount of the down payment. Which is why many investors use cash-on-cash return in addition to cap rates. Unlike cap rates, the cash-on-cash return is a ratio of the actual net profit received over the actual acquisition costs – taking the full financing picture into account. When a property is acquired with financing (as most are), the annual net income will also account for all loan payments. Furthermore, the cash-on-cash return will reflect the buyer's personal out-of-pocket expenses. This includes the buyer's down payment, closing costs and any other costs the investor incurred while getting the property in rent-ready condition. Cash-on-cash returns reflect your personal return on investment only from your own cash, rather than the property's theoretical return. Let's say you find two properties available at an identical price of $500,000 and the same cap rate of 9.92%. Yet, when you discuss the two properties with your lender, they offer to lend 75% of the purchase price of Property A, and 80% of the price of Property B (both with a term of 30 years and an interest rate of 7%). That means your up-front cash investment is $125,000 for Property A, and $100,000 for Property B. Property B would require a $2,661.21 monthly payment. Yes, the mortgage payment is higher for Property B, but because you wouldn't have to inject as much cash upfront, but your cash-on-cash return would be higher. If we look at cash-on-cash return as a measure of how hard your cash is working for you – your money would be working harder with Property B. If you want to take a more in-depth look at an investment scenario – in a way that will accounts for financing terms, and will also show you the cap rate AND the cash-on-cash return for an investment property, this advanced version of the Cap Rate calculator will allow you to input a lot more details, and will also should you much more detailed results. Are cap rates written in stone? Is there anything you can do as an investor to improve a property’s cap rate? First, and most obviously, paying less for a property will improve its cap rate. But paying less for a property isn’t the only way to improve its cap rate. Another option is to raise the property's annual net income. This can be done in many ways. An obvious approach is to raise rents (if current rents are below market rates). Another way is to make improvements to the property, so it can justify a higher rent price. But keep in mind – investors can also raise their net income by reducing expenses. For example, an investor could use preventative maintenance to reduce repair costs. They could find ways to make their units more energy-efficient and/or reduce their utility costs if they include utilities with the rent. To continue the example above, say you have your heart set on a cap rate of 12% and the property’s numbers are coming in at 9.92%. You could reach 12% by negotiating the seller down to a purchase price of $413,333 ($49,600 / $413,333 = 12%). Suppose the seller will go as low as $450,000, but not all the way to $413,333. In that case, you could turn to raising the gross rent as well. To reach a 12% cap rate, you need an NOI of $54,000, rather than the $49,600 the property earns currently ($54,000 / $450,000 = 12%). This means you need to find another $4,400 in income each year. They agree to drop their total fees to equal 8% of revenues – an annual savings of $1,600. With a thorough market analysis, you discover that there’s room to raise rents and add another $2,800 a year in net revenue. Congratulations! You now have your 12% cap rate. What’s a “Normal” Cap Rate? A “normal” cap rate can vary widely, depending on the property type, the real estate market, the investor's negotiating power, and a lot of other factors. Most real estate investors would consider a 12% cap rate to be on the higher side of normal. Generally speaking, the better the neighborhood, the lower the cap rate, because the headaches and hidden costs of property management are also lower. In lower-end neighborhoods, you can often find high cap rates on paper, but be prepared to work harder for every cent of rent you collect. As a sweeping generalization, a normal cap rate could be as low as 4% in the best areas, and up to 10% or higher in lower-end districts of town. Cap rates are a useful shorthand calculation. You can do them on the back of a napkin in 30 seconds, assuming you have accurate numbers at your disposal. The simplicity of the cap rate makes it an easy metric to use, especially as a yardstick to quickly compare returns between two properties. However, it's simplicity also means its usefulness is limited and doesn’t tell the full story about a property’s returns. Don’t confuse cap rates for actual returns. The two are related, but not identical. Use cap rates as one metric among several to get a sense for a property’s returns, and always run cash-on-cash returns in addition to cap rates before making an investment decision. 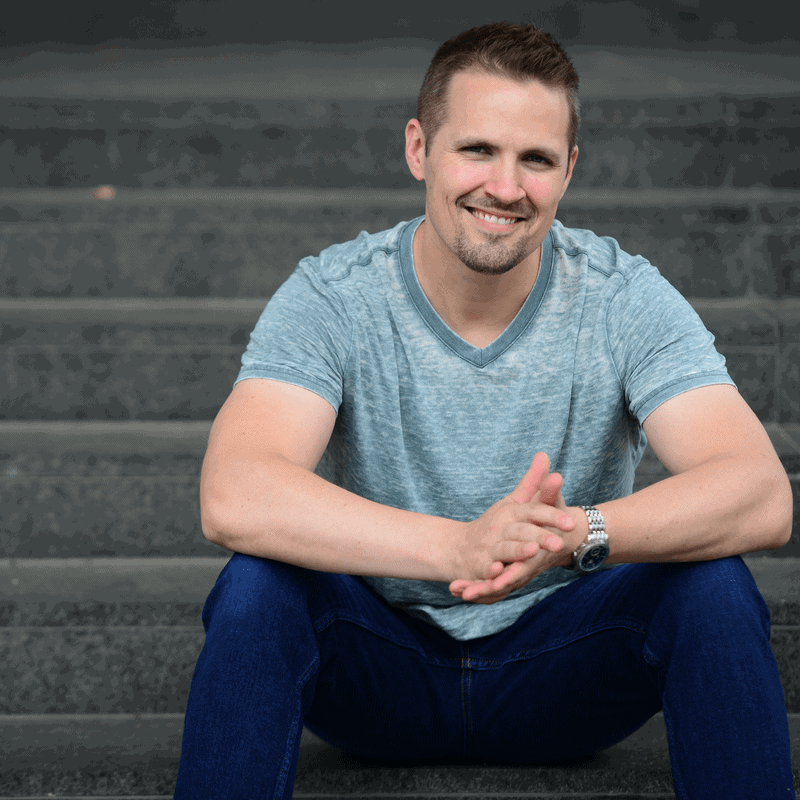 Brian Davis is the co-founder of SparkRental.com, a service offering free online rent collection, a free rental property calculator, free video course on boosting rental returns, and a free rental application. Reach out at any time, Brian is extremely easy to reach and responsive! Roofstock Review: Is This The Easiest Way To Buy Turnkey Rental Properties? Rentometer Review: Is It Really Accurate and Reliable? Really nice summary of cap rates. One of those terms that gets thrown around by commercial real estate folks and is intimidating to many, but shouldn’t be. Nice post. Thanks for the kind words Edward! I agree – the terms is thrown around all the time, and the average person has no idea what these are all about.